Stroh’s. For most, the name calls to mind the spectacular beer dynasty that was founded in Detroit in 1850 and operated for more than 100 years. For 826michigan though, it invokes thoughts of an artist and author who has decided to use her creative gifts to make a tangible impact on our service to thousands of students across Detroit, Ann Arbor, and Ypsilanti. Earlier this year, Frances Stroh, a native Detroiter, fifth-generation member of the family and artist-author now living in San Francisco, wrote a sharp and shrewdly reflective memoir on her experience growing up with great privilege and emerging from great loss. In the book, Beer Money: A Memoir of Privilege and Loss published by HarperCollins, Frances invites readers to journey with her through her family’s life of vast wealth–and all of the unspoken challenges that immense wealth can bring, their painful financial collapse, and her emergence on the other side with her very own life, career, name, and financial independence. 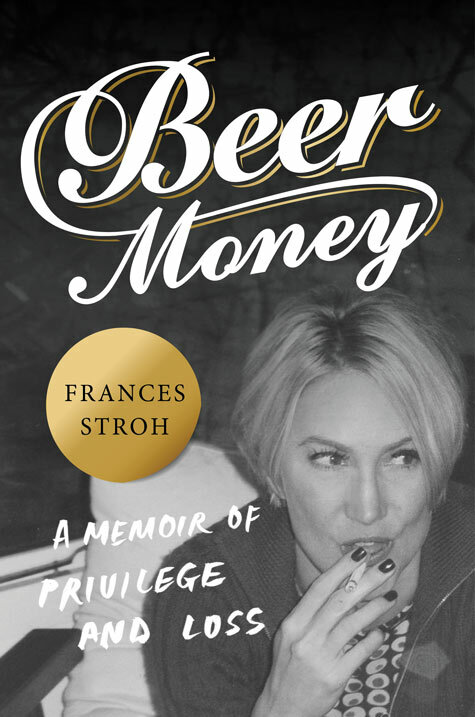 On the tail of our national staff conference wherein all 826 chapters convened in Ann Arbor and Detroit to reflect on the power of story, voice, and truth just last week, 826michigan is especially thrilled to highlight Frances Stroh and her tremendous and honest memoir. 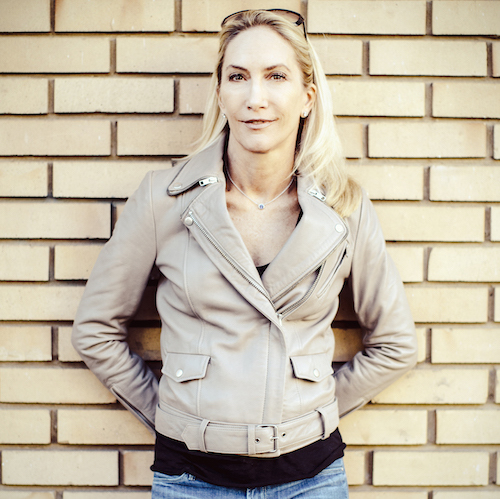 In sharing her whole story, Frances demonstrates the transformative power of writing the truth. In the free creative writing and tutoring programming that 826michigan offers to students, we often remind students to speak fully and authentically and it is fantastic to see our favorite writers do the same. Thus, Frances reinforces that our brand of writing education is placing 826michigan students on the right track. As an added, stupendous bonus–Frances is contributing ten percent of the book’s proceeds to support 826michigan and our expansion into Detroit. “My first experience with 826 was in San Francisco, at 826 Valencia—the flagship 826 organization started by author Dave Eggers. On my first day as a volunteer tutor I was feeling a little shy and nervous as if it were my first day at a new school. In a way, it was. I remember seeing the author Daniel Handler sitting at a table, deep into helping a fourth grader write an essay, and I followed his example. I settled at a table with a fifth grade student who had a paper due the next day. The subject? The ill effects of fast food on the body. She seemed intimidated by the topic and the fact she had to write a full page. I began to ask her questions about why fast food might not be healthy. We explored the possibilities together. Her answers became the main points in her essay. She lit up, realizing she was making progress. She wrote one paragraph after another, stating her points and giving examples. We honed her points, her themes, and her language until she was satisfied. She then wrote an introduction and a solid conclusion. Her face was beaming with confidence and pride when she realized she’d done it—she’d finished an essay. And she’d learned a great deal about her own thoughts on fast food, and why it was bad for her body. Frances has used her gifts as a writer to donate to our students so that the programming 826michigan produces can continue to be a benefit to them. She has also pushed up her sleeves and engaged with our students in the real, hard work of writing. Our staff tells them all the time that writing takes lots of energy, lots of thinking, and some do-overs; it is a true help to us when a full-time writer is able to sit alongside our students and invest her time into a new generation. For these reasons and more, we are pleased to recognize Frances Stroh as our July 2016 Supporter of the Month. Thank you, Frances, for your work and investment in our students! Beer Money: A Memoir of Privilege and Loss was published on May 3, 2016 by HarperCollins and is available for purchase. 10% of the book’s proceeds will be donated to 826michigan in support of the forthcoming Detroit Robot Factory — a writing and tutoring center specifically designed to support underresourced students from throughout the city and Metro Detroit region.